s the most in magic damage, AoE, and support. You won't be doing the most damage, but you'll be helping your party out immensely. There are two main trees of skills in the job. One of them — Lightning Bolt, Mind Snapper, Chain Lightning, Detonate, Heavenly Judgement — is the Inquisitor tree. The other — Lightning, Healing, Cure, Bind, and Miracle Relics — is the Saint tree. Whichever subclass you want to work towards, you'll be able to put points into most of these skills, you'll just want to focus more on one or the other to get the ultimate ability. That's quite a ways off for now, though, as the level 40 cap will be some time in the future. We're stuck at level 24 at the moment. The two main paths of the Priest tree have some very different features. Pro: More active role in battles. Pro: Excellent crowd control with relics. Defense debuffs, binds, etc. Pro: Healing. Pretty much the only healing in the game. Con: Really supporty, less able to solo efficiently. Con: Less active role in battles. Drop relics, run around, drop relics, repeat. requires 5 Righteous Bolt, costs 10 SP to learn, and 4 to upgrade. It's a pretty decent skill to get immediately. Inquisitors need it at rank 11, but it's not necessarily the best place to put your points. It has a chance to electrocute, though, and can hit a large number of enemies a large number of times. Thus, it can be quite useful. Wand Mastery is level 15, costs 5 SP to learn, and 1 to upgrade. It's a passive with two effects. The first changes your melee combo to be slightly faster with one extra hit, and instead of one lightning strike, it shoots a fan of three in three directions. Second, it adds magic damage to your combo. No reason to not max it with it's low SP cost. Lightning Relic is level 15, requires level 5 Righteous Bolt, costs 10 SP to learn, and 4 to upgrade. It's your first taste of what life will be like as a Priest and, should you go that route, Saint. You drop a man-sized cross from the sky that slams enemies around when it lands, and then proceeds to shoot lightning in all directions. It also lowers the Light resistance of nearby enemies, increasing the damage of your skills. It also lasts for 15 seconds and has a cooldown of 10, so you can have 5 seconds of overlap if you cast it fast enough. Mind Snapper is level 17, requires level 2 Sliding Step and level 1 Lightning Bolt, costs 8 SP to learn, and 3 to level. It's the magical Sliding Knee Kick, basically. When you double-tap to dash, you can click to send a slow-moving ball of lightning forward. It will travel a short distance and explode, dealing damage all the way. Blessing of Light is level 19, 10 SP to learn, 4 to upgrade. It's your first priest buff and the more important of the two for offensive uses. Lasts 60 seconds, cooldown of half that, so you can always keep it up. All it does is increase the party's Light attack and Resistance. 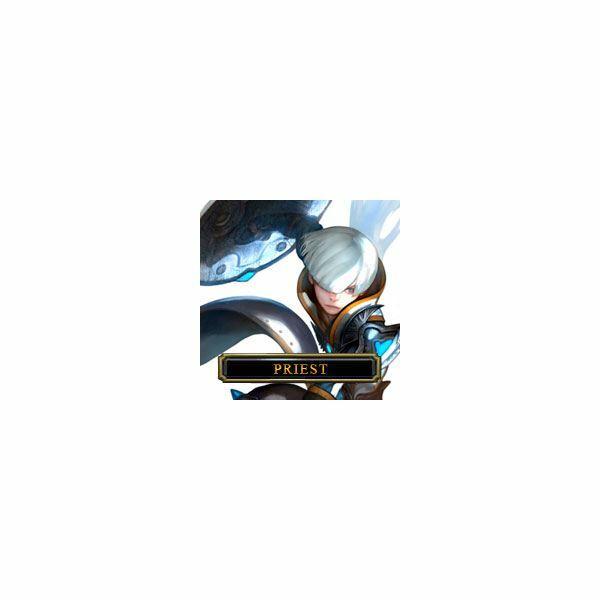 Protection Shell is also level 19, 10 SP to learn, and 4 to upgrade. It's the defensive counterpart to Blessing of Light. Same cooldowns, same AoE, but it increases your physical and magical defense. They stack, so having both buffs up at once is nice. Chain Lightning is level 19 and needs Rank 1 Mind Snapper. 10 SP to learn, 4 to Upgrade. It is a bit of an odd skill and takes a bit to get used to. It's AoE and centered on you, so you have to be close to enemies to use it. Sparks fly out from your wand, zap enemies, and can bounce from one enemy to another. Higher levels increase damage and number of enemies hit. It's less flashy than Lightning Bolt, but higher damage. It can also hit downed enemies for further benefit. learn, 4 to upgrade. The skill requires Paralyze Bolt level 5. It's a very slow skill, but very powerful. You slash the air twice with your wand in an X pattern, and the resulting holy cross flies forward slowly, damaging and knocking around enemies. Just be careful, because you can aim it anywhere, and if you aim incorrectly, you can send it flying right into the ground at your feet, or into the air above the enemies' heads. Healing Relic is the other level 23 skill, requires level 3 Aura of Healing and Lightning Relic. It is 10 SP to learn, 4 to Upgrade, as usual. Same deal with a cross dropping from the sky, except this one drops closer to you and has a weaker enemy slam. It also doesn't deal damage but, instead, radiates waves of healing. After 4 waves of healing, it disappears. The healing depends on both a fixed number relating to skill level and a percent of your magic damage. 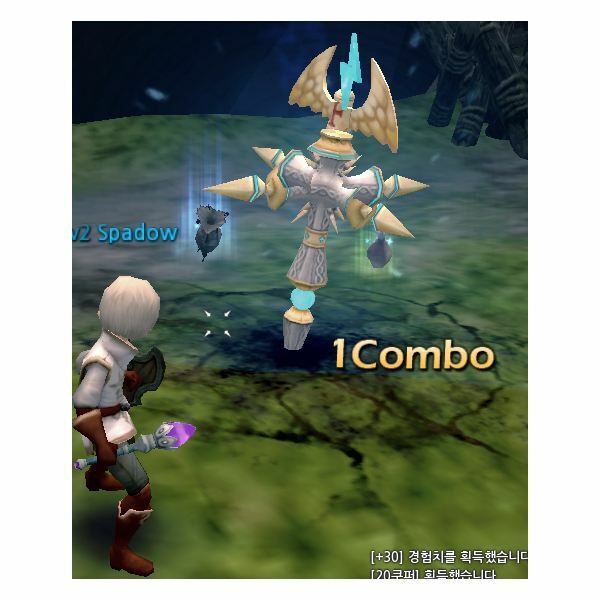 The skill is useful for keeping allies alive in mobs of strong enemies. Blessing of Strikes is level 26, requires level 2 Protection Shell, costs 10 SP to learn and 4 to level. Another buff, all it does is increase party damage by a percent. Very useful to have. Detonate is level 26, requires level 3 Chain Lightning, 10 SP to learn, and 4 to level. Once you use it, every enemy nearby that's electrocuted has that electrocution dispelled, but they also explode. Given how many of your skills electrocute things, it's fairly useful to blow up a mob after your combo is running down. Cure Relic is level 29 and needs rank 3 Healing Relic. 10 SP to leanr, 4 to level. Yet another relic, only this one increases Light attack of allies and removes debuffs on them. Vengeance Wave is level 29, 8 SP to learn, 3 to level. It's a passive that allows you to click while being attacked to blast enemies away from you. This is useful as prevention from being juggled or stunned. Holy Burst is level 32 and requires Grand Cross level 4. 10 SP to learn, 4 to level. 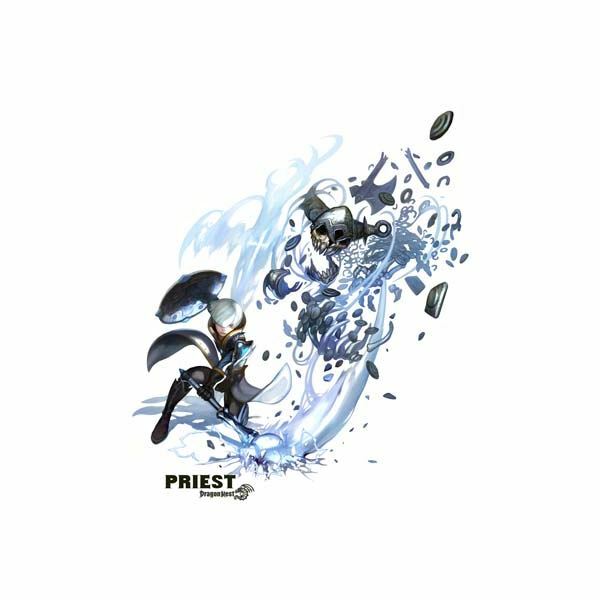 One of the flashiest priest skills, it has a large AoE centered around you, and rains the area with holy lasers from the sky. High damage, good AoE, and only a 40 second cooldown. Bind Relic is level 32, needs 1 Cure Relic, 10 SP to learn, 4 to level. Yet another relic (Saints love relics) that shoots out waves similar to Paralyze Bolt, binding enemies in place and leaving them at your mercy. First Aid is level 35, 10 SP to learn, 4 to level. It's a passive that grands you a chance on being attacked to strike back with magic damage and heal yourself for a percent of your HP. Heavenly Judgement is level 40 and requires level 5 Detonate. It costs 10 SP and only has one rank. It's a huge AoE with ridiculously high damage raining lightning bolts down on the battlefield. It has a 2 minute cooldown, so it's not spammable. It's, however, definitely powerful. Miracle Relic is also level 40 and requires level 3 Bind Relic. Also 10 SP to learn. On a crazy 3.5 minute cooldown, it calls down a large relic that, well, does everything. It radiates huge amounts of damage, reduces damage taken by 70%, and cures debuffs on allies in range. Unfortunately, it only lasts for 13 seconds. General tips and information: User’s own experience.